Assignment Tracking allows you to set & track student assignments and display the status of those assignments via the parent login. Assignments are added to the session record in Oases when the work or quiz is given to the student. In the same session tutors may access past assignments to update any work as turned in that day. Everything is in one place. 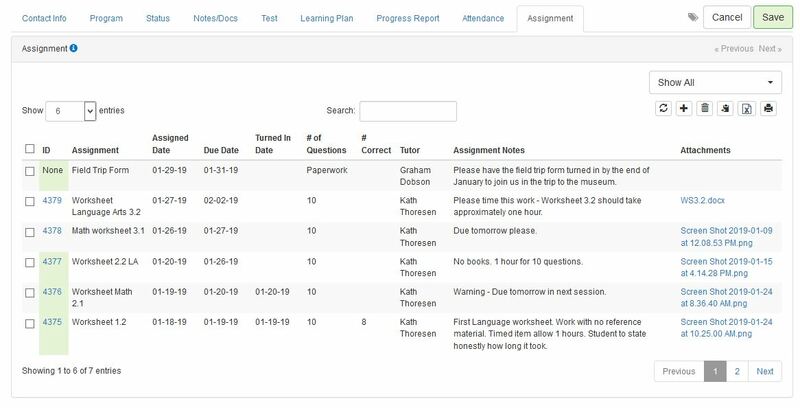 The list of assignments is also displayed in the student record with filtering, export and all items flow to custom reports for additional tracking and reporting.